The game is essentially a futuristic jet ski racer. Like the now-aged Wave Race 64 water physics play an important role, but instead of canned water, Riptide uses a dynamic system. Jet skis produce wakes, which in turn change up the way you have to race. The environments are over-the-top, just like another classic favorite, Jet Moto. With racers a dime a dozen it takes something special to stand out–something that keeps you coming back. Riptide GP has it in strides. X-clusives – If Joe Danger: Special Edition is any indication, adding exclusive content seems to grease the wheels for a possible Xbox Live Arcade release. 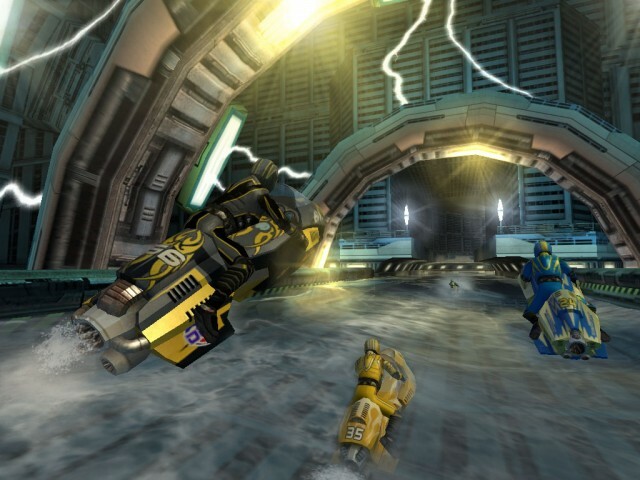 And since Vector Unit developed Hydro Thunder Hurricane (which was published by Microsoft Studios) it would be plausible to see some of the HTH circuit courses make a return. Raging through Tsunami Bowl in a jet ski just sounds amazing. Replay/ghost mode & replay cameras – This was probably the one feature we missed most in Hydro Thunder Hurricane. While racing you really didn’t have time to truly enjoy the environment, search for hidden packages, or critique your driving. The ability to watch replays or spectate using both on-bike and cinematic cameras would really give it that extra punch. Multiplayer focus – Every good multiplayer game needs both online and splitscreen. While Riptide has online leaderboards via OpenFeint, mobile devices aren’t really suited for splitscreen. Both it and online multiplayer need to be integrated in order to make this a truly great game on XBLA. 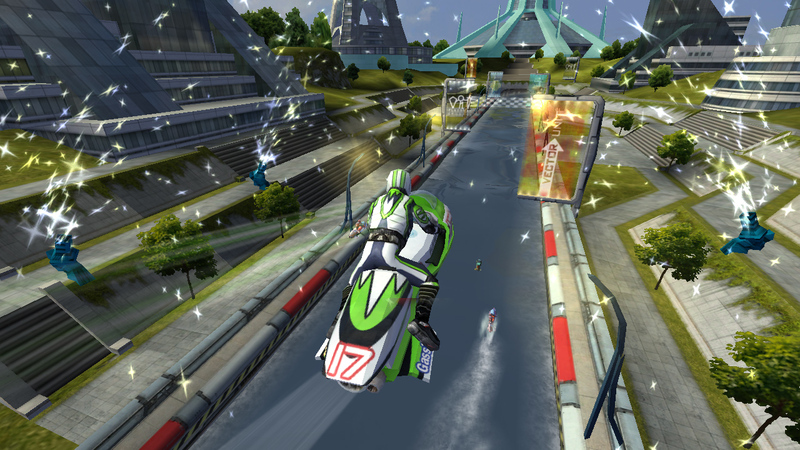 Environments – Riptide GP has a big Hollywood charm to it. Environments are lush, jumps are huge, and the action in said environment can change from lap to lap. They’re gorgeous–you’ll find yourself wanting to stop and enjoy the scenery. On the cheap – Riptide is only $2.99 USD for Android tablets. That’s a steal. 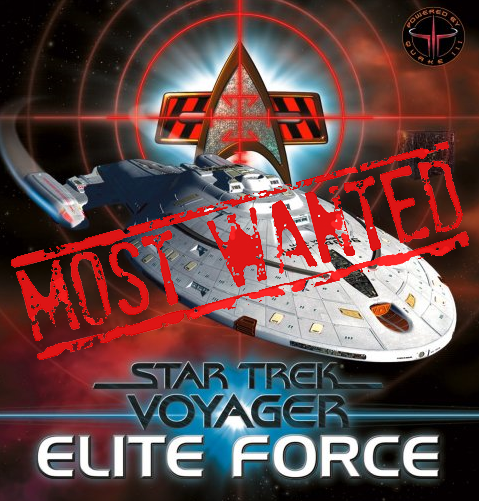 It would be a great fit for Xbox Live Arcade, but the reality is nobody will pay 1200 MSP for it if they can get it on most iOS and Android devices. 800 MSP after the additions seems like a reasonable price that will drive high sales and also keep the community alive. We’re not developers, but given that the Vector engine already runs on the 360 and the assets are complete development costs should be *fairly* low. 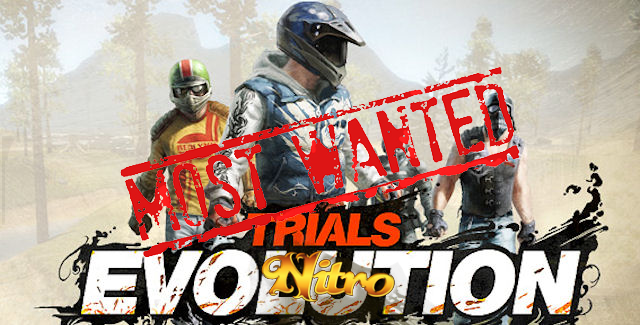 Sense of competition – So many of these “bike” games can do either speed or smart AI, but for some reason rarely both. Riptide has solid, competitive AI that gives players a realistic challenge. They’re not rubber-banded, either. So many games *coughNeedForSpeedcough* have the AI magically catch you when you’re in the lead, even if you make zero mistakes. Not here. It’s realistic, it’s fast, and it’s fun. 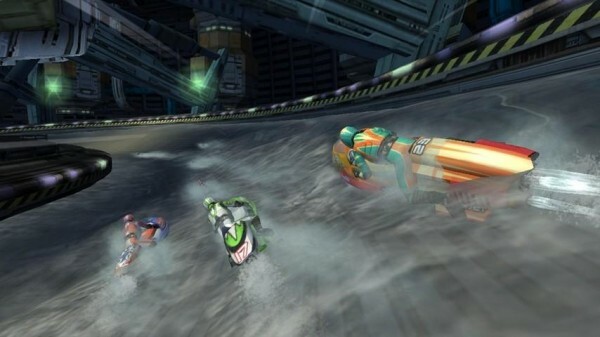 If Hydro Thunder Hurricane is any indication, Riptide GP could do very well on XBLA. Hydro Thunder has pulled in over 200k units since its release in the 2010 Summer of Arcade. Clearly folks love the gameplay. Riptide provides more of the same, yet gives a sense of strap-on-the-bike madness. It’s one of those rare games that can grab the player and immerse them–one that you sit down to play for five minutes and end up playing for hours. Besides, with Hydro Thunder such a staff favorite we’re clamoring for more from Vector Unit.